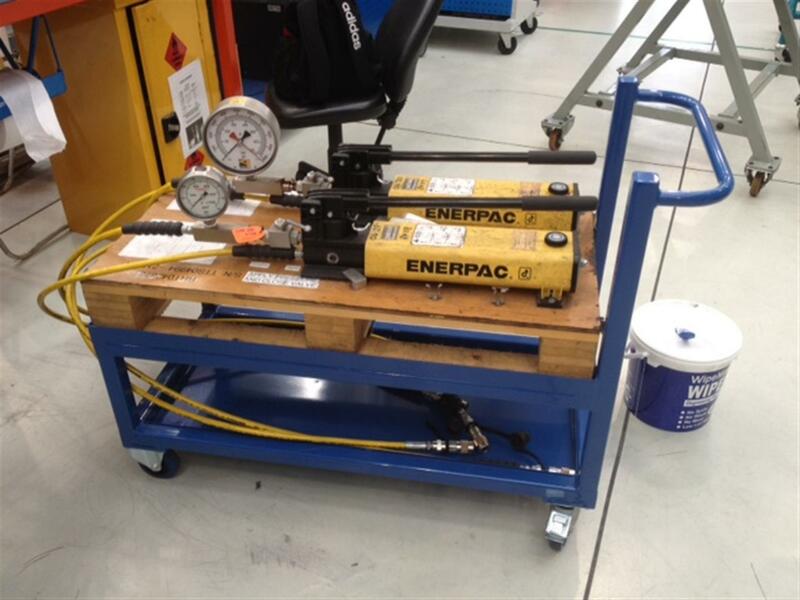 The trolley is fabricated from 40mm x 40mm box section and angle, the enerpac pallet unit will sit inside an angle frame to prevent it falling from the trolley. The unit is fitted with 100mm castors, 2 off fixed and 2 off swivel with brakes. It also features a drip tray in the base frame to catch any oil. Approximate overall size 1050mm (L) x 520 (W) x 880mm (H).